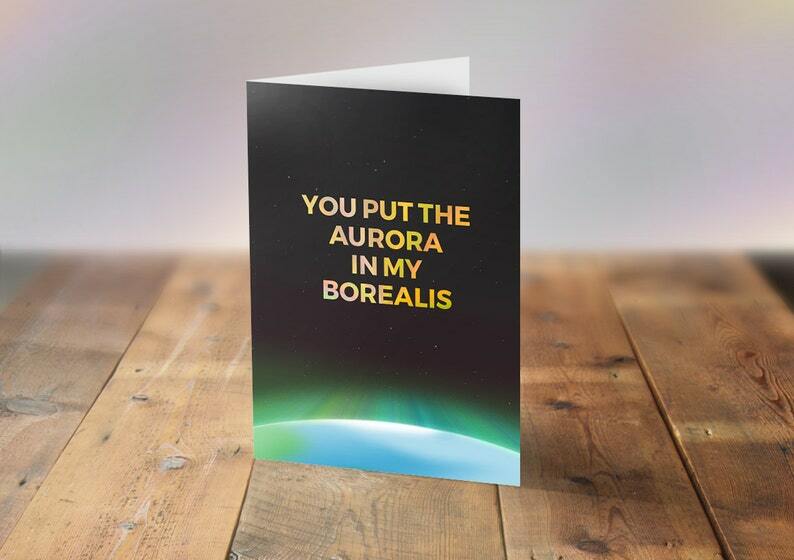 Say I love you with a humorous science themed Anniversary or Valentine's card! ● The design is printed onto smooth matt 350gsm card. ● We also have a digital-download-only version of the card. They are 300dpi high-resolution print-ready cards suitable for printing at home yourself, online, or a local printing company. Beautiful. The seller is very responsive and helpful if you have issues. Highly recommend. We offer the following sizes on our products but if you would like a different size just let us know and we will do our best to help. We also have digital file options for most designs, please see individual listings or get in touch with us. Invites, table cards and place cards are printed onto 350gsm card and laminated for a smooth matt finish. Suitable for using push pins, with depths 3mm, 5mm and 10mm. Matt finish. Made from a fine PVC they securely hold push pins. Suitable for adding stickers to they are either 1.2mm or 2mm thick with a matt finish. Some of our products can be offered as digital files. If you would prefer a completed digital file select the option from the drop down box on the product you would like. Use the code 'Digital' in the coupon code box at checkout to remove the shipping cost. The digital files are complete and ready for printing. They cannot be edited. ** Which paper or card stock should I print on? Will you send me a draft/proof of my design before printing? We always send draft images of our personalised designs to ensure you are happy with everything before it is printed. You may make wording corrections or changes at this point so that your design is perfect for you. Please note that computer screens can differ slightly from the final printed colour. How many revisions are included in my order? There are two rounds of revisions to wording and minor design changes. This is sufficient for the majority of orders however if more than two rounds of changes are required, or if major changes are required compared to the original design or custom request an additional fee is required to be paid. ***I would like my guests to sign the Wedding Guest Book Map, which type of pen can I use? We recommend only using ballpoint/biro pens or fast drying pens on our Wedding Guestbook Map prints to avoid smudging the ink. It may be possible to use other pen types however we would recommend testing them before your wedding day. All orders will be dispatched on time. Please refer to the product details for the turnaround times. **Do you offer Rush Processing? We offer a rush option for creating your order. Please check with us first to see how soon we would be able to work on the order. Please copy and paste the link into your browser - or find the Rush options in the 'Options & Upgrades' section of our Etsy store homepage. We can ship anywhere in the world. Shipping costs can be found on each product listing by clicking 'plus shipping' or by adding the item to your cart. We are based in the United Kingdom so please be sure to check our processing times and estimated shipping times for each product listing. If you are ordering Internationally, please supply a contact number to add to the shipping details. We are conscious about the environment and try to use as little plastic as possible, however it is necessary to use some to ensure your order arrives safely. The green bubble wrap we use is biodegradable. * Which pins should I use? Most push pins will work with our foam board maps. We have tested the pins on the link below with our maps and work perfectly. * How should I hang the foam board on my wall? If you would like holes drilling in the corners of you map please let us know when ordering. How do I send details for my order? To personalise your order please enter the details into the Personalisation box / or the small text box on the cart page / or send the details in an Etsy conversation message / or email the details directly to us at contact@noordinaryemporium.com. Please include your order number for reference. Any designs seen or sold by us are not available for reproduction or for re-sale under any circumstances. If you wish to use any of the designs seen here for anything other than personal use please contact us.